Wizards of Oz: ¡Feliz Cinco de Mayo! 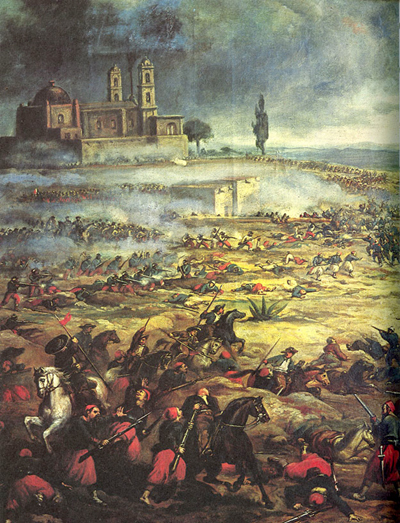 Cinco de Mayo is the celebration of México's victory over Napoleon III at the Battle of Puebla in 1862. Though it is virtually ignored in México (other than in the state of Puebla, just east of Ciudad de México), it has been celebrated for more than 140 years in the U.S. state of California. While Cinco de Mayo is not México's "Independence Day" (that date is September 16th), in America it has become the cultural equivalent of St. Patrick's Day: a celebration of heritage and culture of our southern neighbor. So tonight, raise your cerveza or your margarita and honor México! Lady of tdaxp (Watching the news): What is Cinco de Mayo? tdaxp himself: It is a Mexican-American holiday, celebrating a battle against France. Lady of tdaxp: Happy Cinco de Mayo!